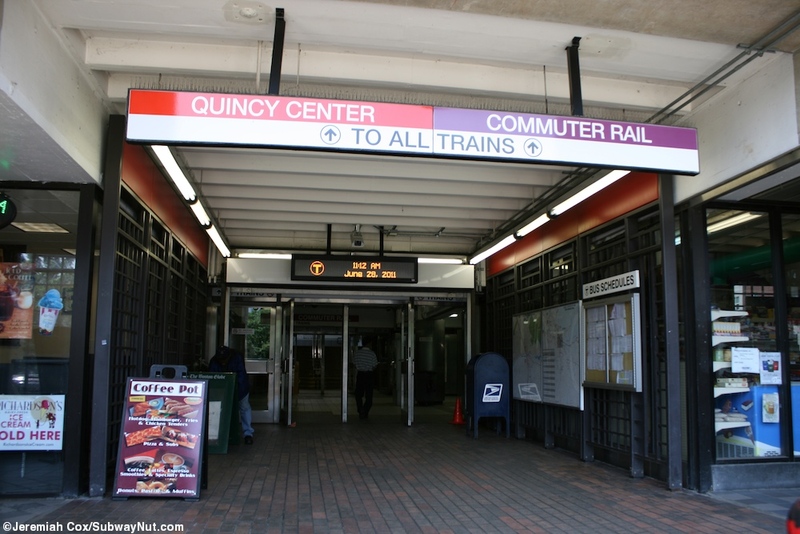 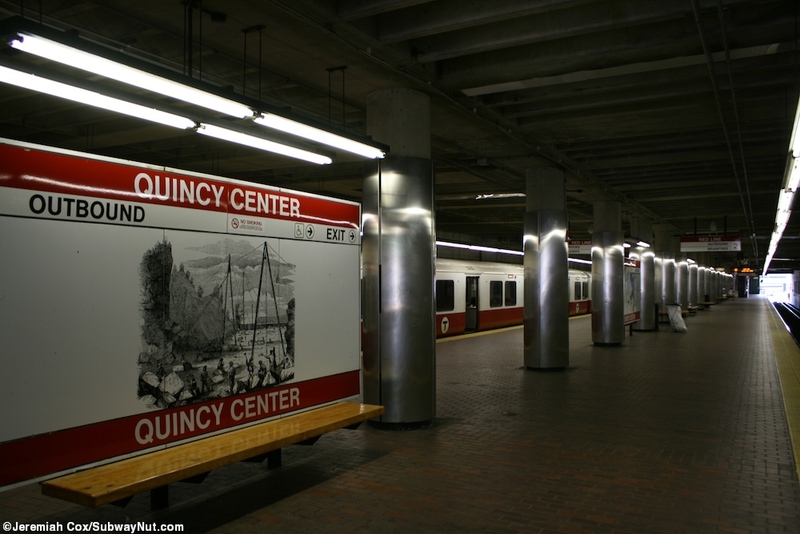 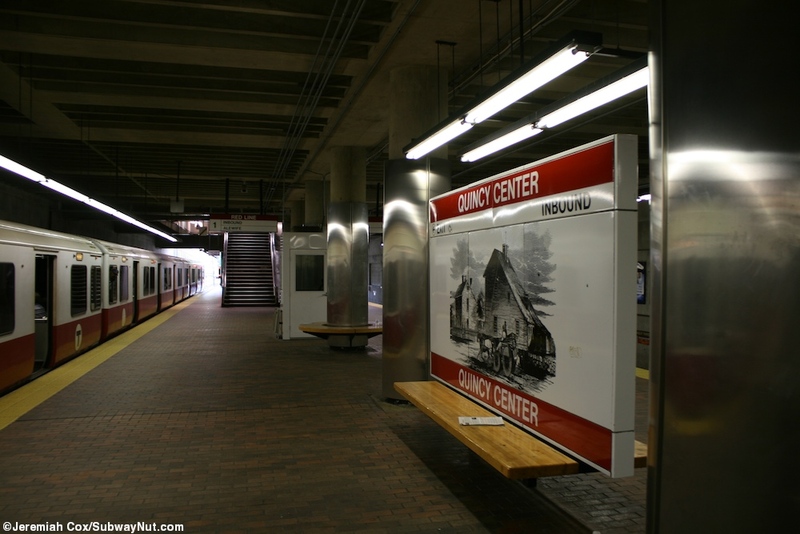 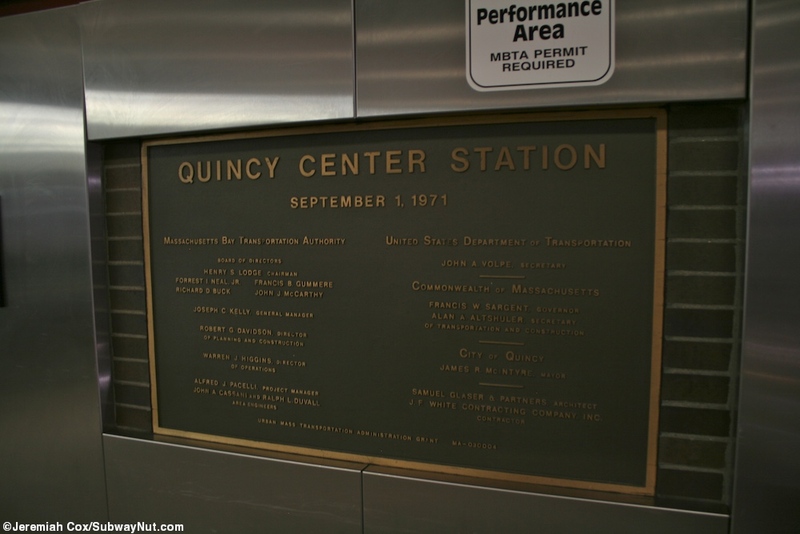 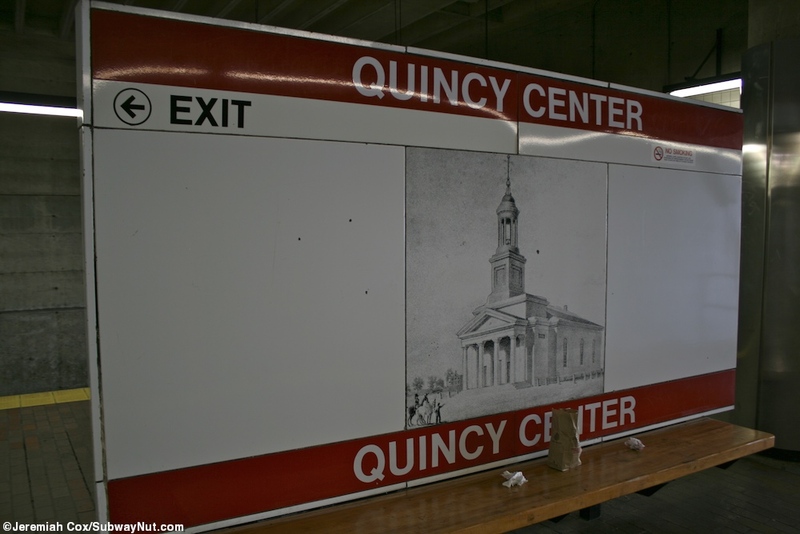 Quincy Center is located as the name implies in the downtown of Quincy. 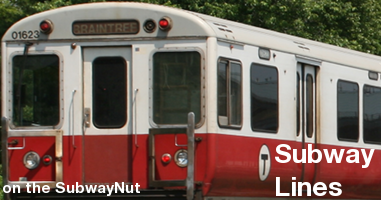 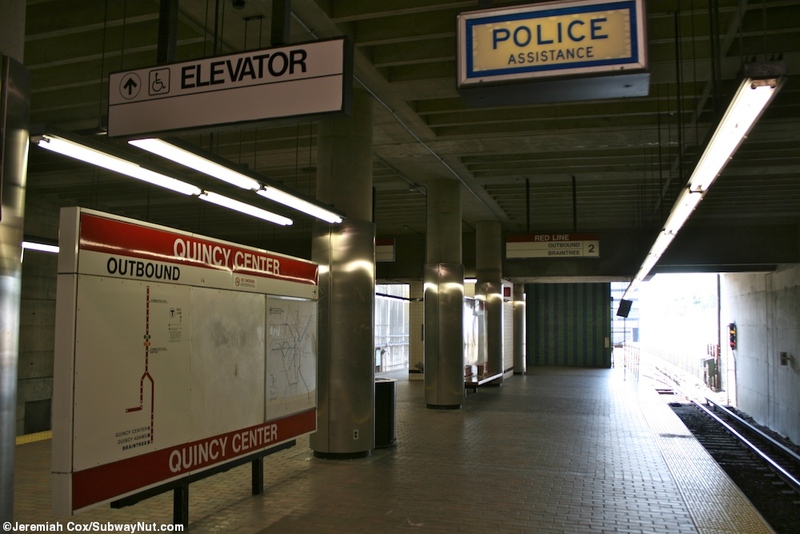 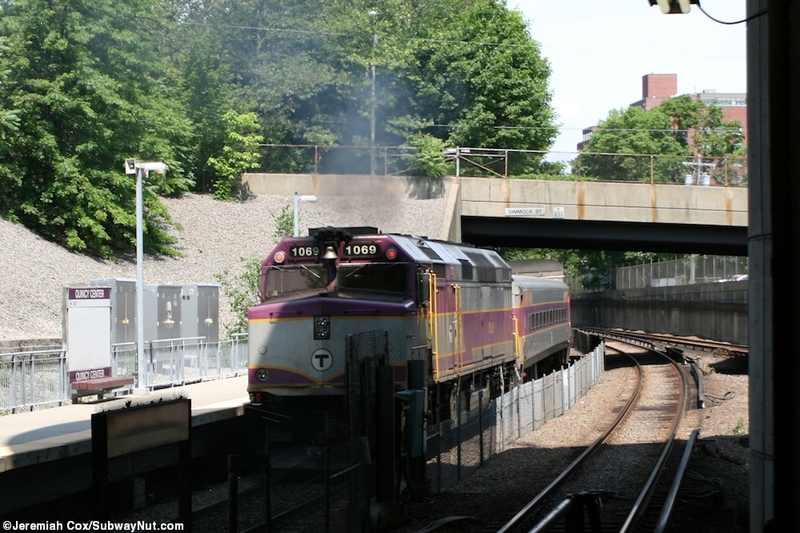 The stop (with North Quincy to a lesser extent) actually provides foot traffic to the line. 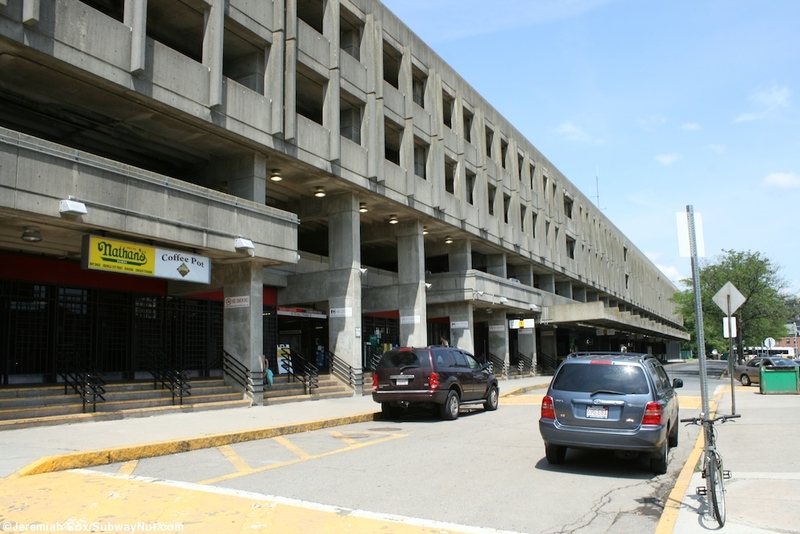 It though still has 872 is a brutalist style parking garage that covers the entire platform of the line that is in a bit of an open-cut. 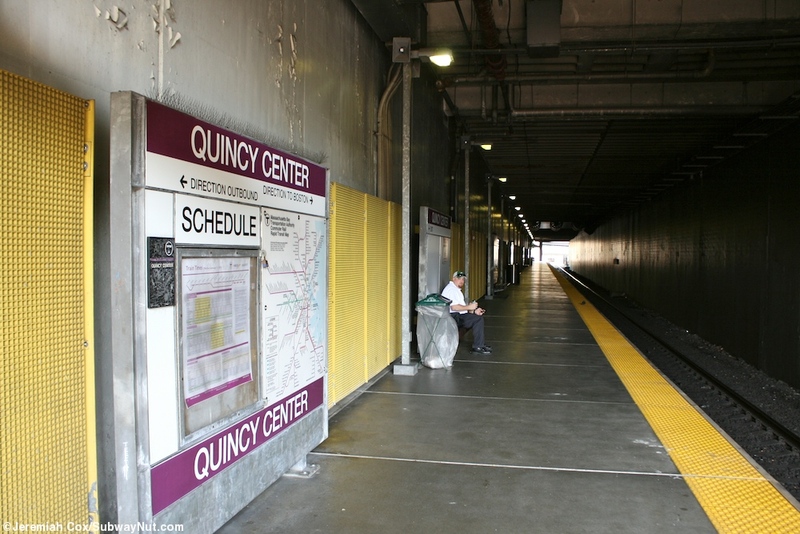 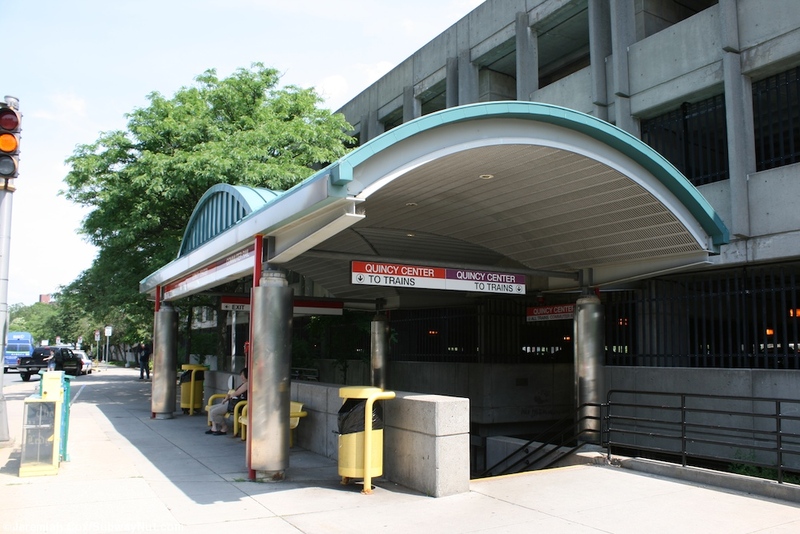 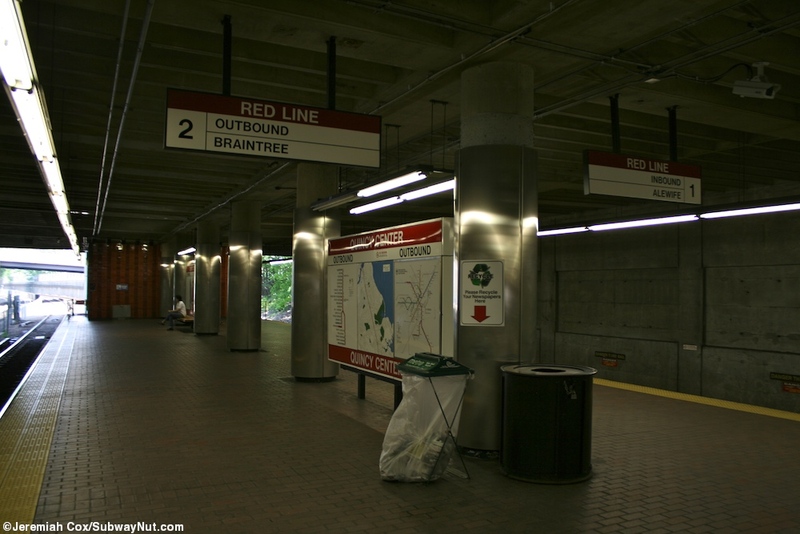 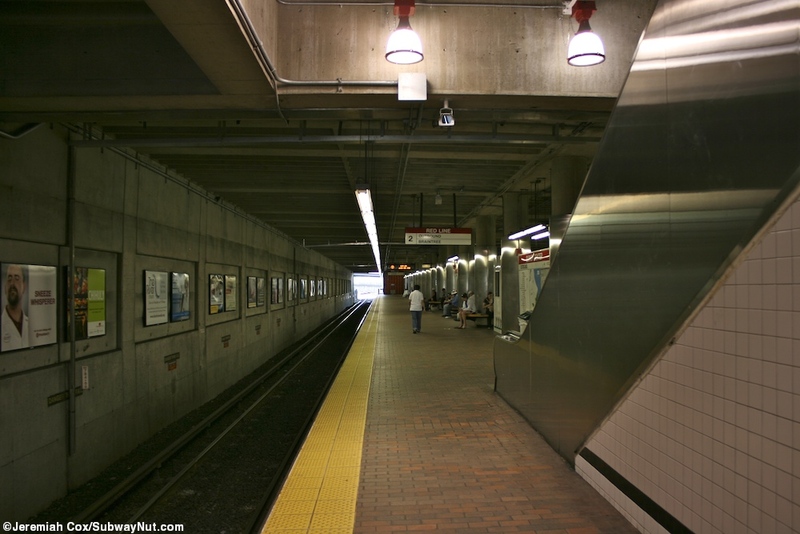 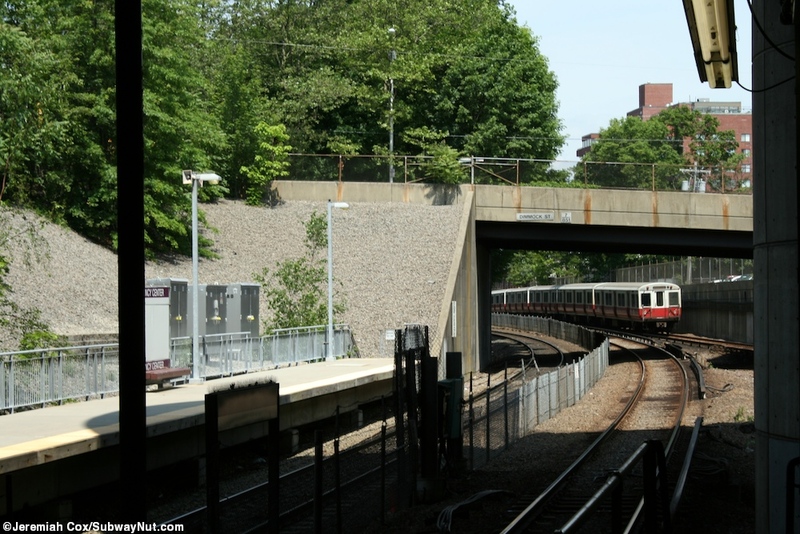 The stop has a single island platform for the red line and a seperate one for the commuter rail line's single track here. 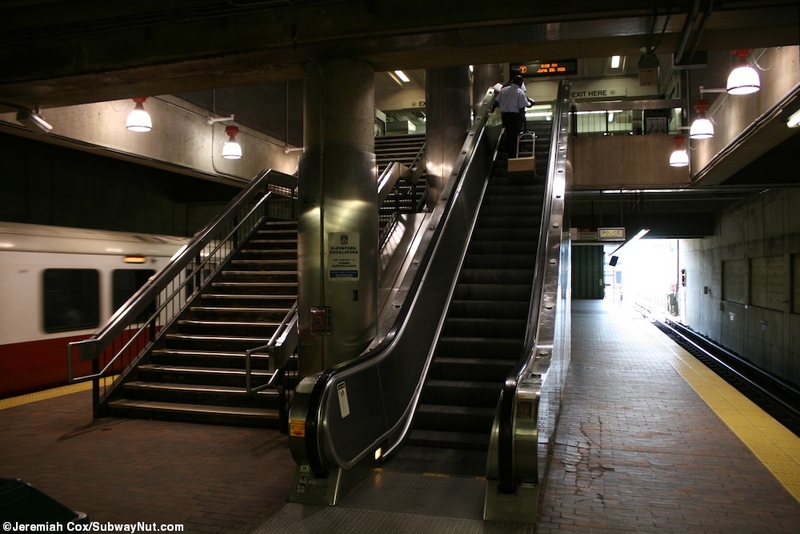 Accesss to the subway platforms is via a single staircase/up escalator and elevator that leads to a small mezzanine area where the faregates are. 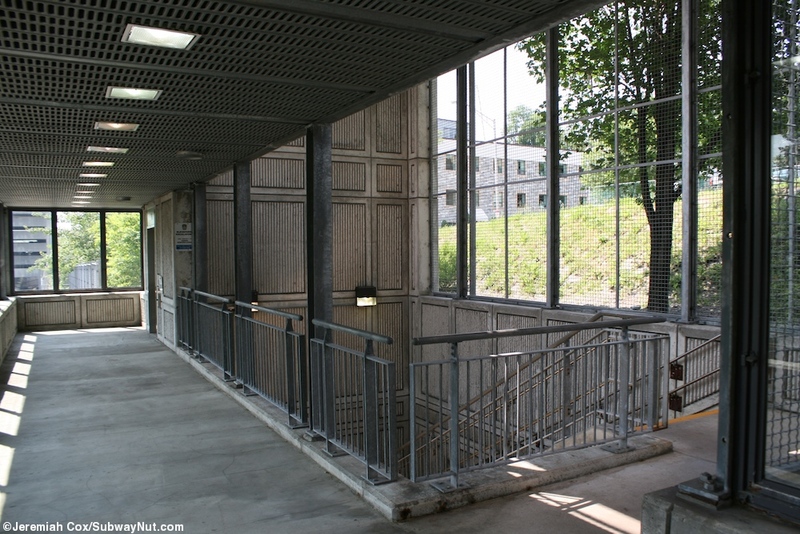 From here there are two exits. 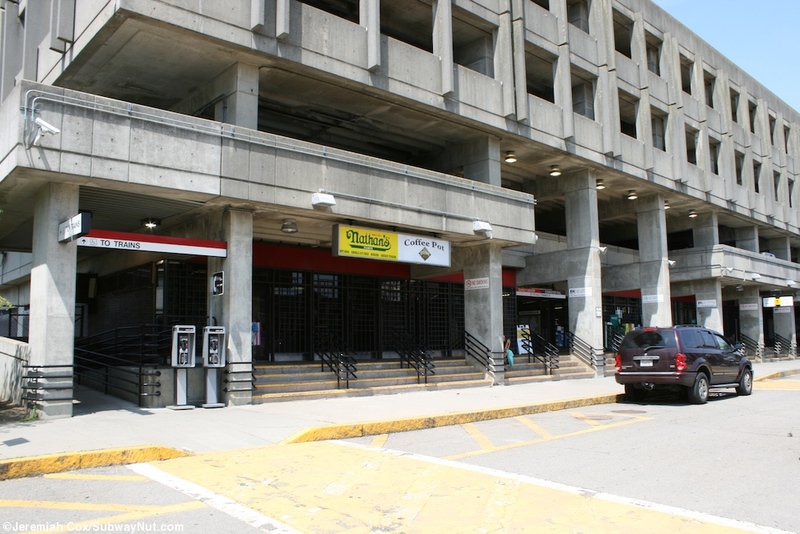 Staircases lead up to Burgin Parkway to the west, to the east staircases lead down to the station's bus loop where there are a few shops including Ducken Donuts. 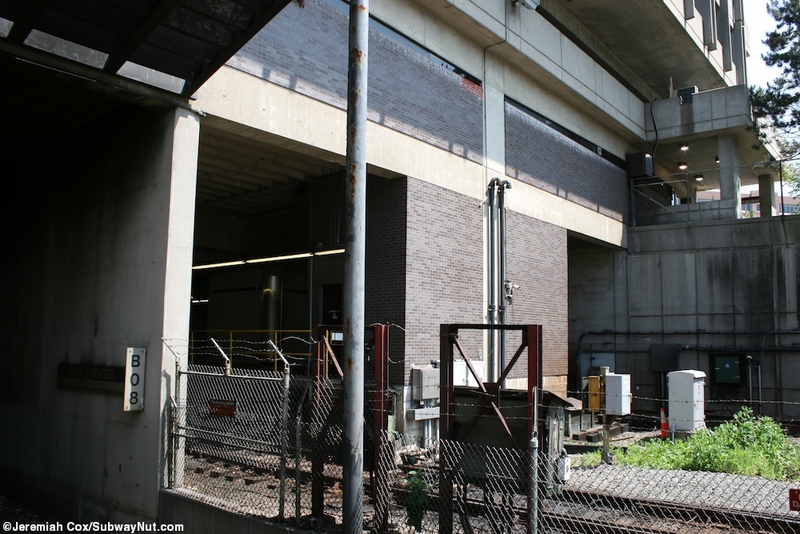 An odd feature is that for elevator access from Burgin Parkway passengers must use the parking garage elevator. 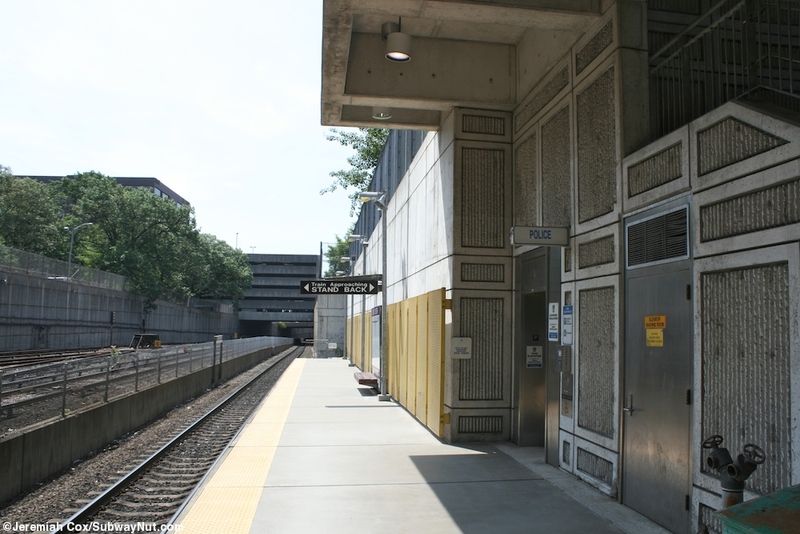 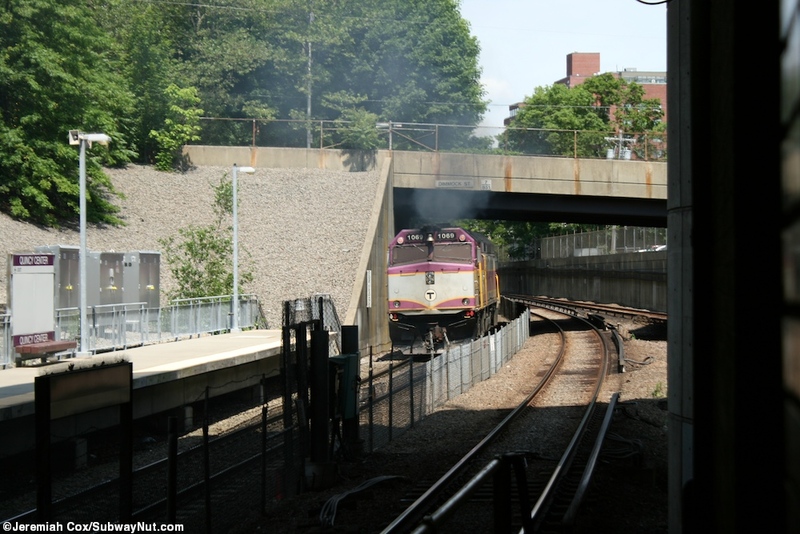 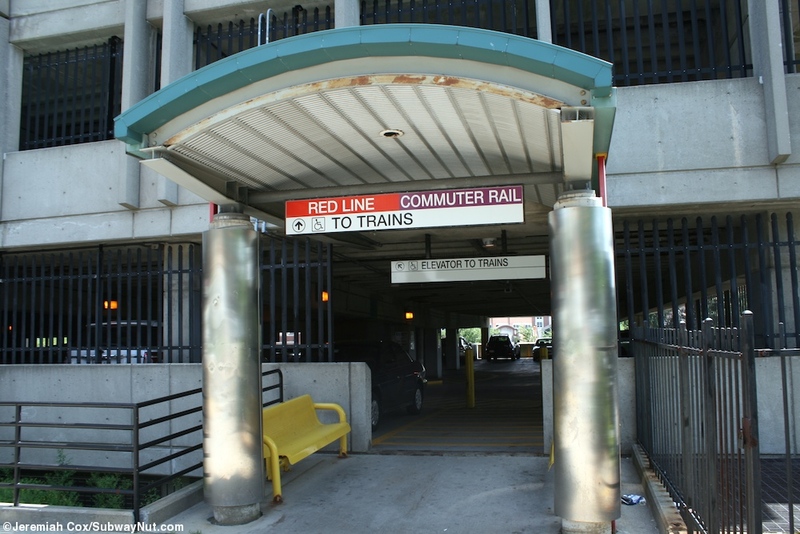 A seperate little passageway from the entrance area leads to a staircase and elevator down to the southern end of the commuter rail platform.